With our busy lives and fairly stable day-to-day environment, it’s easy to forget that we’re actually sitting on a huge rock hurtling through space. Only a thin atmospheric and magnetic cushion is what separates us from total annihilation. This cushion is fairly good at keeping some cosmic intruders at bay, such as small asteroids, but larger objects could wreak havoc if they were to collide with Earth. Throughout our planet’s history, this has happened countless times, the dinosaur extinction being a prime example. 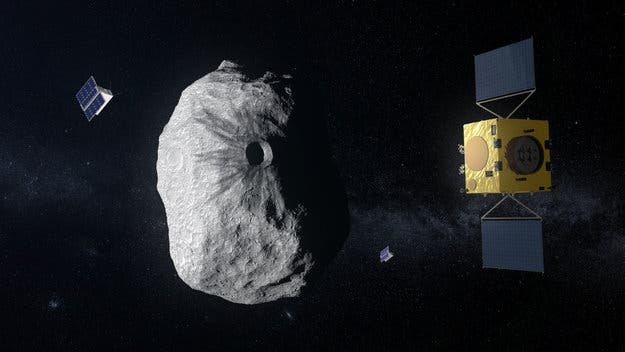 For some time, NASA has been working on an asteroid-deflection strategy and will soon launch a test mission to asteroid 65803 Didymos — a pair made of a smaller object called Didymoon that orbits around the larger 780-meter Didymos asteroid. The Double Asteroid Redirect Test (DART) project involves slamming a small probe into Didymoon, which measures only 160 meters in diameter, about the size of the Great Pyramid in Giza. 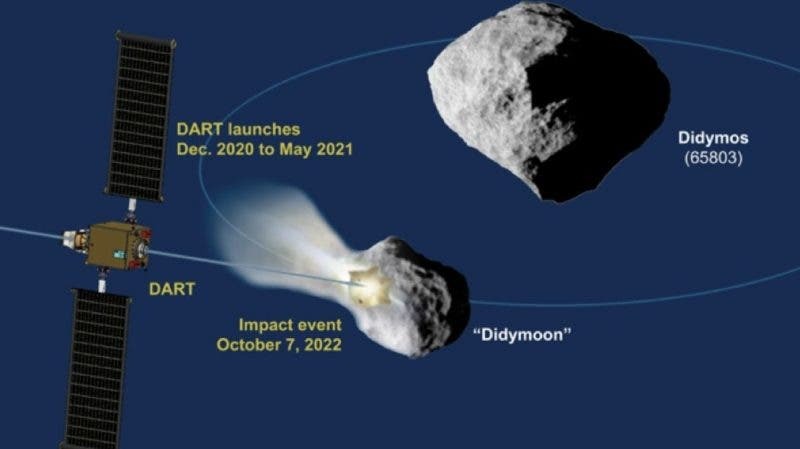 The impact would slightly veer Didymoon away from its normal orbit around Didymos, informing NASA what kind of punch would be needed to deflect a real threat to Earth. An impact with an asteroid isn’t the likeliest thing to happen in the universe. However, despite its low probability, such a scenario is a high-consequence event which requires “some degree of preparedness,” according to the authors of the new 18-page document titled the “National near-Earth Object Preparedness Strategy and Action Plan”. NASA has so far cataloged about 18,310 objects of all sizes, of which just over 800 are 140 meters or larger. A 2005 congressional mandate tasked the agency with tracking 90 percent of the near-Earth objects larger than 140 meters. NASA is just one-third of the way there, however. While big asteroids, such as the kind that wiped out the dinosaurs 65 million years ago, are absolutely brutal, that doesn’t mean that we shouldn’t be worried by anything smaller. For instance, a 40- to 60-meter asteroid that exploded over Tunguska, Russia, leveled 2,000 square kilometers of forest. If the same were to happen over New York City, it would cause millions of casualties. Didymoon will be by far the smallest asteroid ever explored by us — but even at its seemingly puny size, it would be enough to cause a continental-scale catastrophy if it slammed into Earth. The plan is to launch DART in 2021, with the goal of ramming into Didymoon in 2022 in order to change the course of the tiny world. In 2022 the double asteroid system will be only 11 million km (about 7 million miles) from Earth, which is why NASA is in quite a hurry. Illustration of Hera at smallest asteroid ever visited. Credit: ESA. If all goes well, the European Space Agency (ESA) will launch a follow-up mission called HERA in order to examine the impact. “Such a binary asteroid system is the perfect testbed for a planetary defense experiment but is also an entirely new environment for asteroid investigations. Although binaries make up 15 percent of all known asteroids, they have never been explored before, and we anticipate many surprises,” Ian Carnelli, Hera project manager, told Earth Sky. Using a small fleet of CubeSats, the HERA mission will measure the masses of the two asteroids, their surface properties, their new orbits, and the impact site itself. ESA hopes to launch the mission by 2026.